David J. Groth is Of Counsel to Hornstine Law, LLC. After graduating from Temple University with a Bachelor of Arts degree in 1972, and the Temple School of Law with a Juris Doctor degree in 1977, David spent 33 years with the law firm Cozen O’Connor, P.C. in Philadelphia, Pennsylvania. 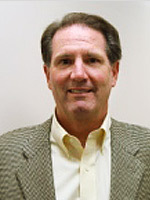 As a Shareholder in the firm’s Subrogation Department, David specialized in complex civil litigation, including property damage cases, contract disputes, and product liability and personal injury cases. David is admitted to practice law in Pennsylvania, but throughout his career has handled cases in approximately 25 states and actual trials in 13 states (including New York, Ohio, Massachusetts, Arkansas, North Carolina, Virginia, Florida), in both State and Federal courts, on a pro hac vice basis. A number of those cases resulted in jury verdicts of $1,000,000+ for his clients, as well as numerous settlements in excess of $1,000,000. As a past Vice Chair of the Tort and Insurance Practice Section of the American Bar Association, David attended and lectured at conferences around the country explaining various facets of the civil litigation process to representatives of the insurance industry, litigation experts and other attorneys. David also is an Arbitrator in the Philadelphia Compulsory Arbitration Program.